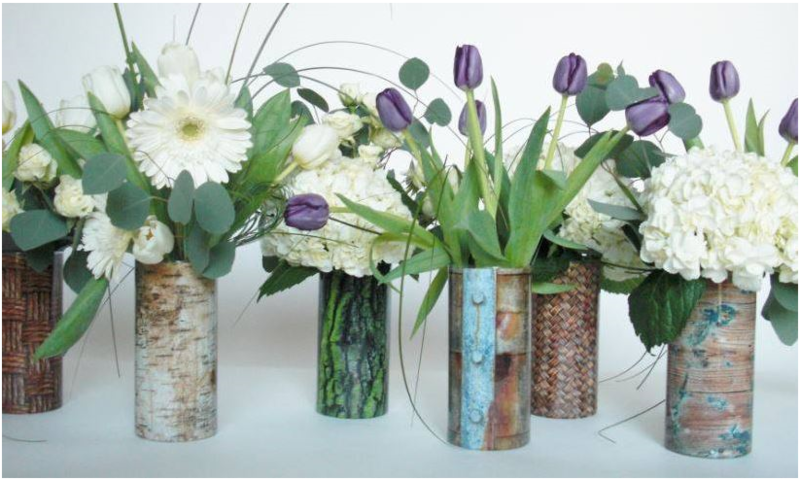 Get over to the new Florist Mercantile Company website and see all the amazing floral vase sleeves they have to offer! Check out this link for everything new and exciting! 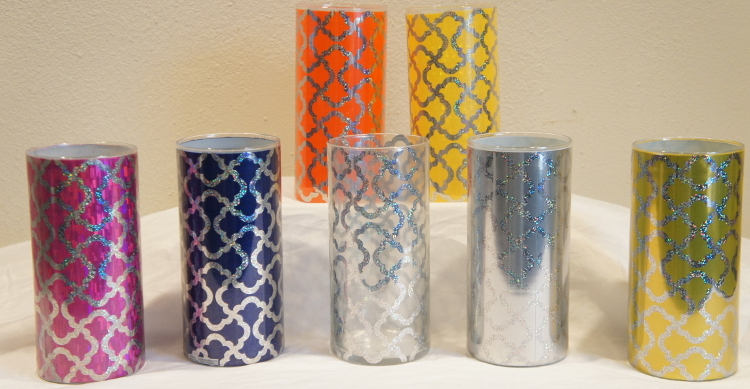 While you’re at the Florist Mercantile Company new website make sure to check out all their sparkly, glittery, and shiny Shrink Wrap Decorative Vase Sleeves they have to offer as the fashion world has spoken and sparkle is the must have this year. 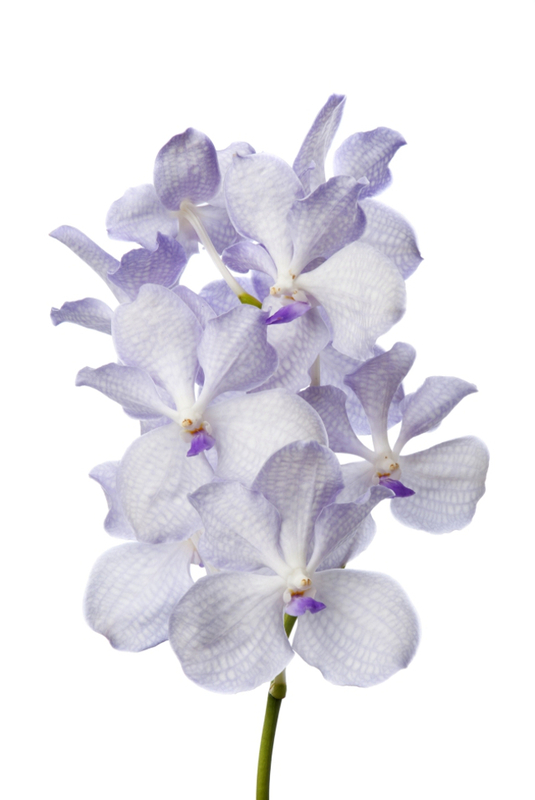 Check out some of what Floral.today has seen from these collections and then make sure to add them to your shops offerings for your consumers. 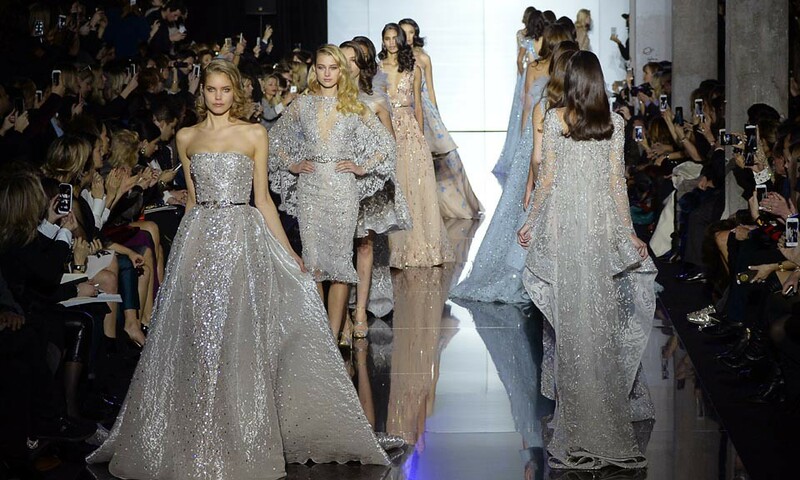 From Zuhair Murad Spring Summer Collection to Chanel we are seeing a great variety of sparkle happening in high-end fashion design this year, so why not grab some of these great Florist Mercantile Company Shrink Wrap Decorative Vase Sleeves and stay on top of trends. 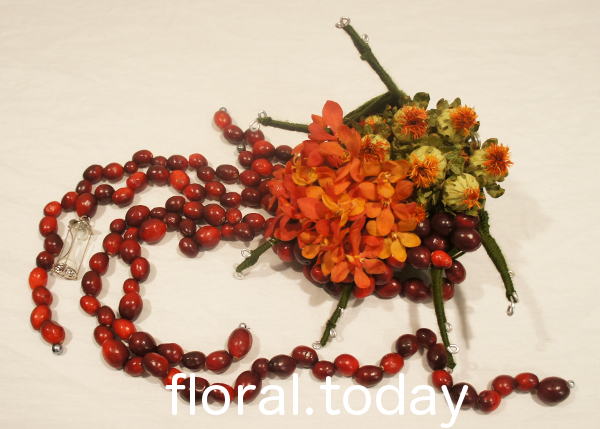 Go check out Florist Mercantile Company’s new website and tell them what you think! For those that subscribe to or like any of the Florist Mercantile or Floral.today social media pages you will be entered into a drawing to receive either pre-wrapped Florist Mercantile Company vases and/or mixed Shrink Wrap Decorative Vase Sleeves. The winners must be located in the US or Canada. The winner will be chosen with a random picker at Random.org to keep the drawing fair. Like or Subscribe to at least 2 of the links below to be entered to receive a prize. Right now if you visit the Florist to Florist Facebook Group, they are hosting the Florist Mercantile Vase Wrap Design Contest with a prize of $500 dollars and 100 Shrink Wrap Decorative Vase Sleeves. Check out all the details to enter for a chance to win the $500 dollars and those 100 Florist Mercantile Company Shrink Wrap Decorative Vase Sleeves. Come show us your skills! 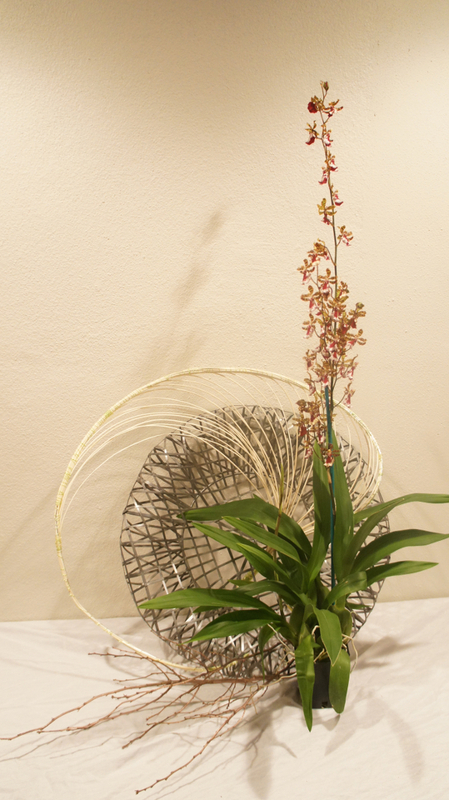 All inquires can contact Florist Mercantile Company on their Facebook or at their New Website! 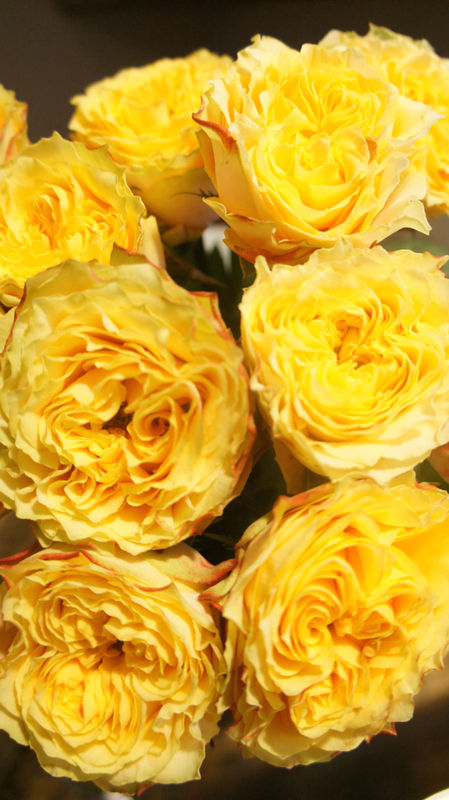 Thanks for joining us this #FloralFriday and we hope you have a wonderful Valentine’s Day week next week! We have been through every Shrink Wrap Decorative Vase Sleeve Florist Mercantile Company graciously sent to us and had a hard but fun time cutting them all down to our top 30 Shrink Wrap Decorative Vase Sleeves. Thank you again to Joe and Daniel of Florist Mercantile Company for the wonderful opportunity of experiencing their new Shrink Wrap Decorative Vase Sleeves. We here at floral.today look forward to all the great products that Florist Mercantile Company has to offer to the industry in the coming months. Don’t forget to check out the link below for contests and giveaways! 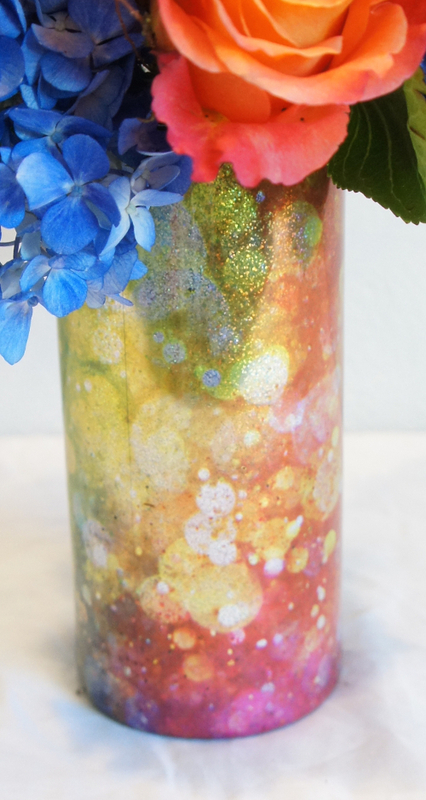 Check out our #FloralFriday video to see how to apply these wonderful sleeves again and check out some some designs in a few of our top shrink wrap decorative vase sleeve choices. 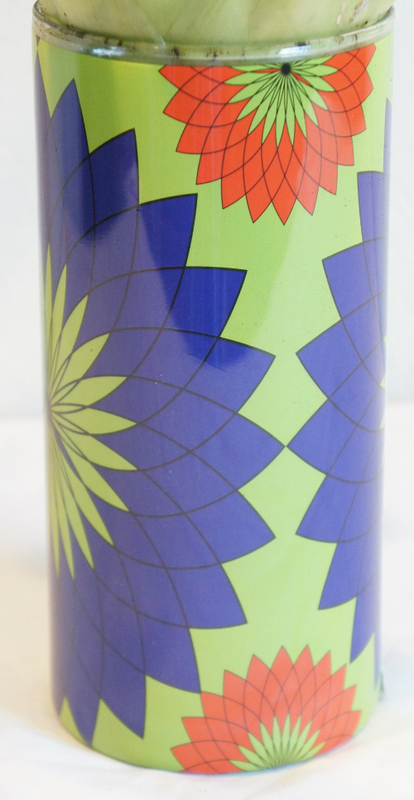 Check out all of Floral.today’s top shrink wrap decorative vase sleeves and designs, then tell us what you think below. Carol Fuller - "We have received so many more members to our groups do to Joe's wonderful sponsorship for our design contest at Florist to Florist. Joe came forward with this product and it was so innovative, so of corse wanted to be involved. 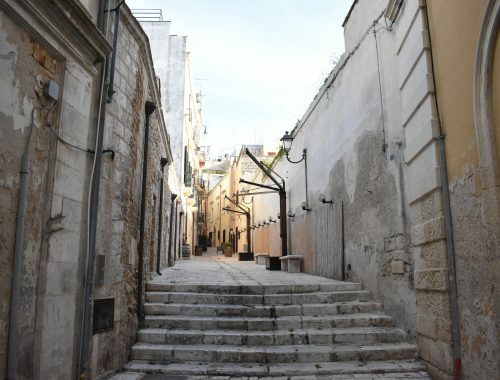 Our goal is to hit the mom and pop stores that want something unique to offer their customers." Kelly Fuller Logan - "It's the perceived value that the sleeves give the vase. The little customer can feel just as important as the high-end customer with how the sleeves change the look of the vase." "It is unreal how nice Joe is! 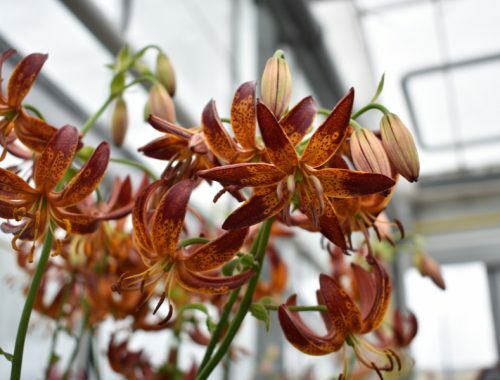 He is changing the face of what the floral industry can provided, and we are very please to be involved with this product." "I like the natural sleeves because you get the look of an expensive vase without the price." "One the sleeves are on the glass, they look completely different and really good." 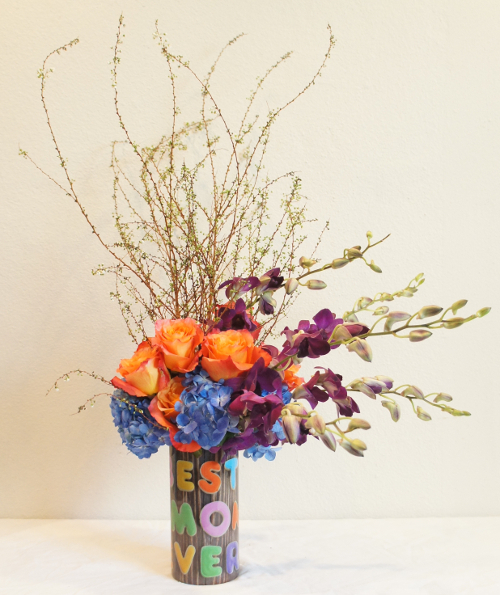 Thanks for joining us this #FloralFriday and a super special thank you to Florist Mercantile Company for bring Floral.today the amazing Shrink Wrap Decorative Vase Sleeves. 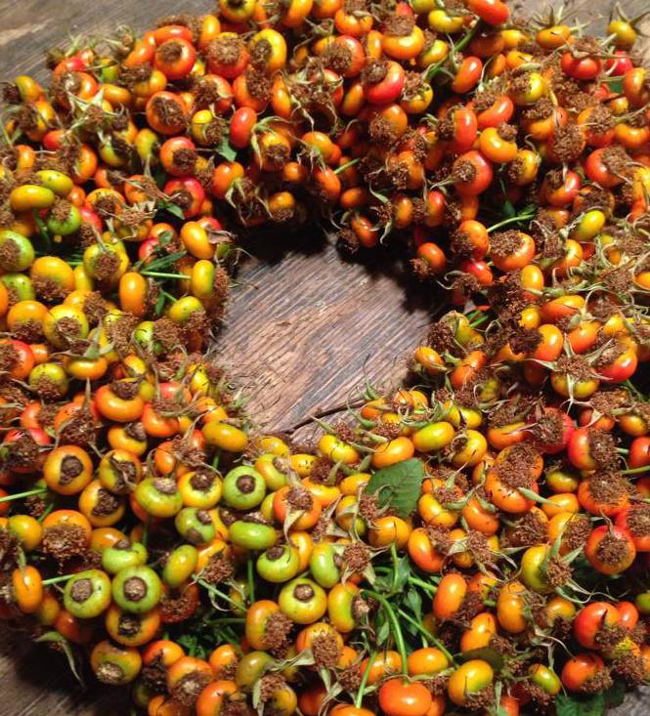 Make sure to go follow the Florist Mercantile Company’s social media as they release more products this year. Share with us your favorites or what you would change about the designs and sleeves from today! Mother’s Day is Sunday, March 15th in the UK and Sunday, May 10th this year and you can never be to prepared once Valentines Day is over. 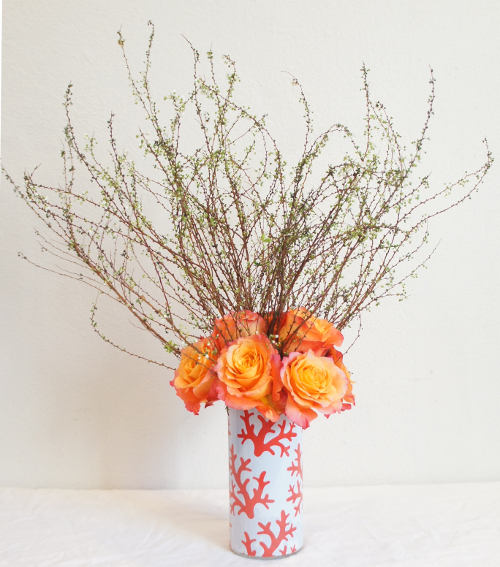 How do you or your shop plan to make your Mother’s Day vases stand out? Here are some of Floral.today’s top Shrink Wrap Decorative Vase Sleeve picks for Mother’s Day from Florist Mercantile Company! 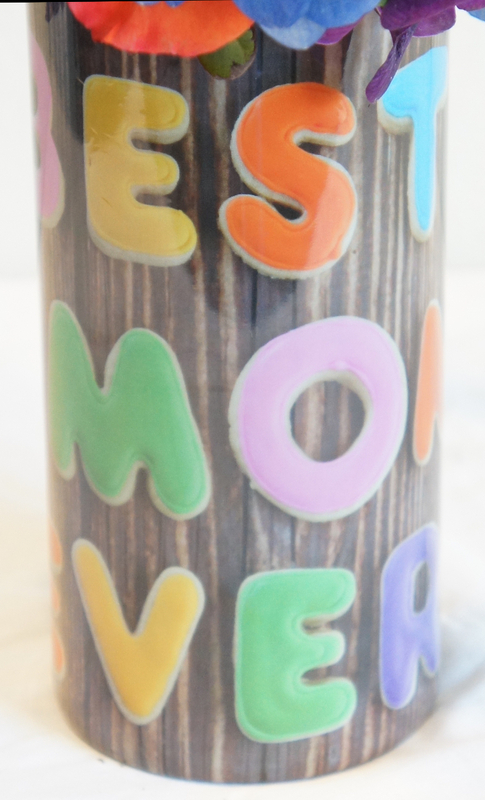 Tell us what you think of our picks or what you would choose to use from the 250 Florist Mercantile Company, Shrink Wrap Decorative Vase Sleeve selection for Mother’s Day. 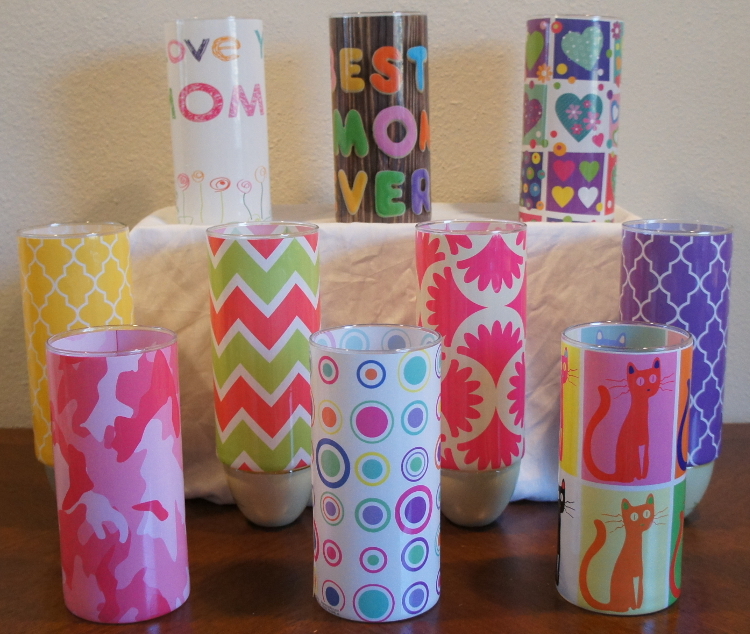 Our Top Mother’s Day Shrink Wrap Decorative Vase Sleeves! 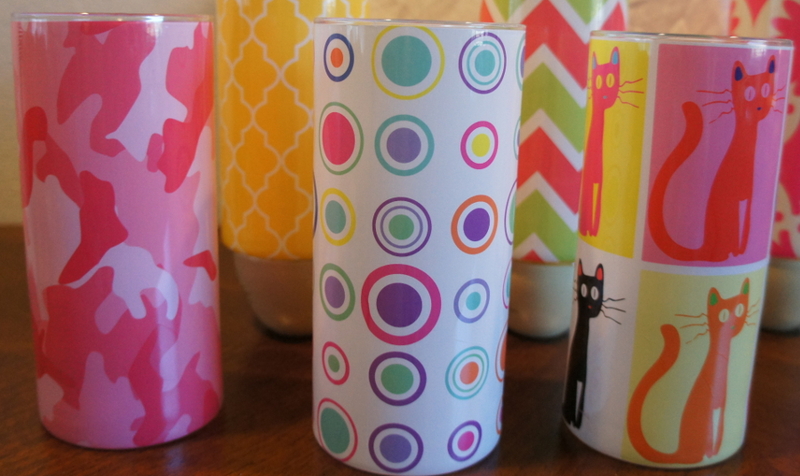 We had fun with this collection as with a new generation of moms looking for something more fun and unique versus traditional we think floral.today picked out some great Shrink Wrap Decorative Vase Sleeves for you! From simple traditional lattice to fun cookie prints you can find almost everything you could ever want. 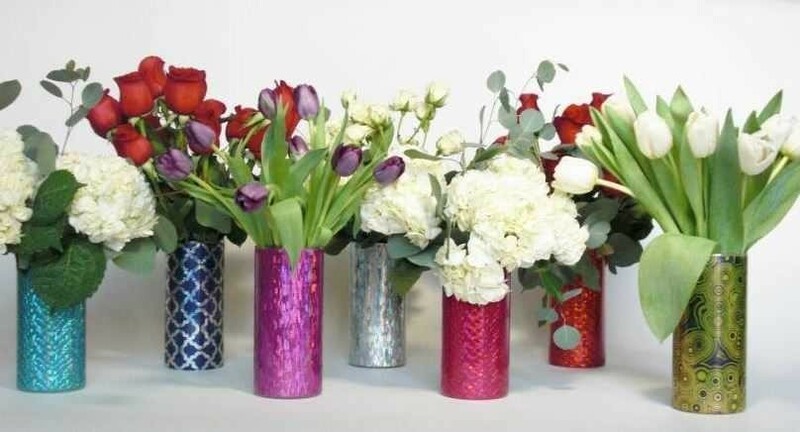 We found you our Top 10 Shrink Wrap Decorative Vase Sleeves for mother’s day and hope you are able to find something you like. Floral.today went through all the mom’s close to us and found a vase sleeve for each individual taste and personality. One of the major points floral.today also focused on is the use after the holiday. It never hurts to have a holiday specific vase sleeve but those that can carry into the rest of the year are what we think makes the difference in the success of a sleeve. 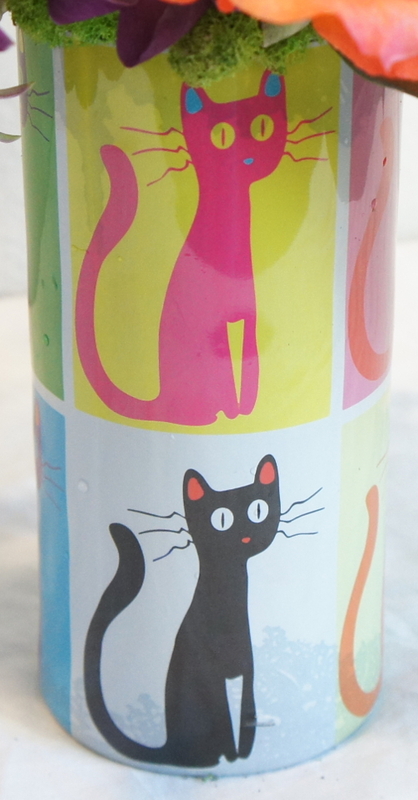 Everybody at Floral.today is absolutely in love with Pop Art Cats. As Garrett’s mom now has Toby, her ‘Pet Child’, since his siblings and him have moved out we went straight to this one. This is for the mom that is of a new generation, she is all about the fun and quirky or an animal lover. The great thing about this sleeve is it’s versatility with color, season, or design. What do you think of the Pop Art Cats Sleeve? The Fun Circles sleeve made it into the top ten due to it’s versatility again. With the pastel colors but interesting design this sleeve can be used for traditional everyday, multiple holidays, and multiple personalities. Floral.today see this as a quite, traditional mom that enjoys a slightly unique design but still traditional colors so it isn’t to crazy or overwhelming. To be completely honest most of us here at floral.today were like hmmmm when first had seen this vase sleeve and then with less than five seconds of discussing it we went straight to Garrett’s sister Kayla and multiple of our floral designers in the industry that love hunting and the sort. Kayla has been in the military and runs a top of the line tactical arms company and as a new mom we instantly new she would love this. The second person we thought of was one of our Floral.today aunts that will be having this pink camo placed throughout her wedding. 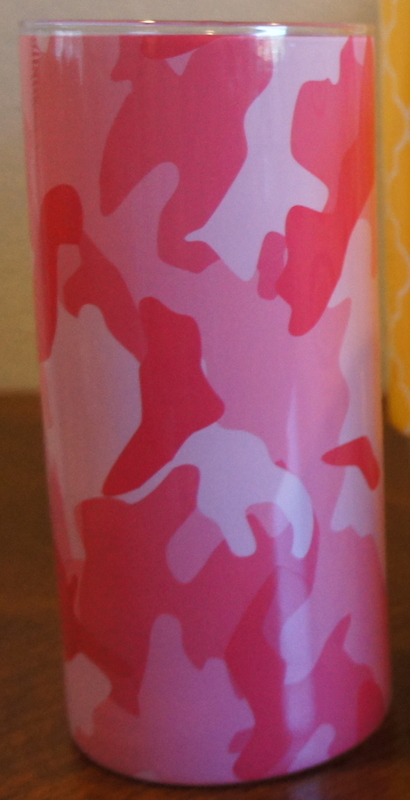 With the large variety of vases, the Camo Pink sleeve shows you can find about anything for your area or your type of consumers. What is your favorite sleeve right now? Carol - "Wood and naturals, those are the ones to me that say class and you can do a nice traditional in them with out them going out of style." Kelly - "Right now I'm savoring the glitzy, glittery solids, you can do pretty much any design in them." For a traditional Mother’s Day sleeve we really enjoy the cookie print Best Mom Ever sleeve. The quality of the image makes you want to touch the cookies. 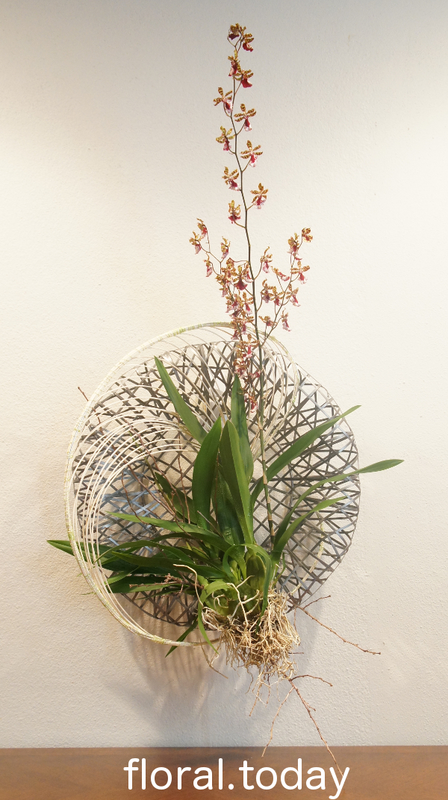 Floral.today likes this sleeve because you can design traditional and non-traditional Mother’s Day very easily. Being that the words are done in cookies makes this sleeve unique and different than anything available for upselling. 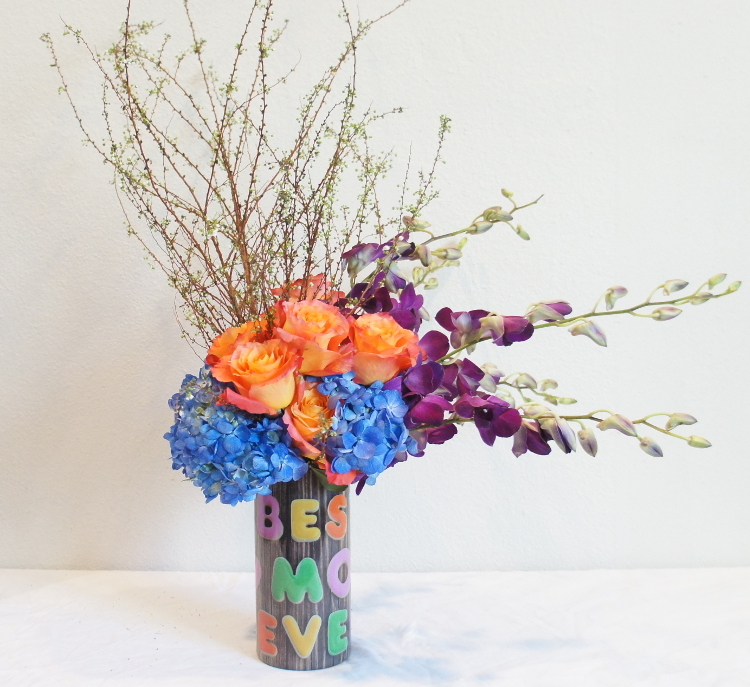 What would you design in the Best Mom Ever vase sleeve? 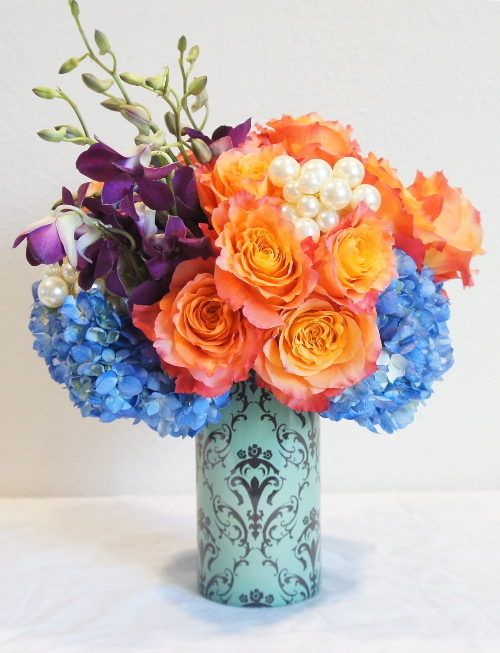 What have been your favorite vase sleeve so far from the Florist Mercantile Company? With how quickly you can apply the Shrink Wrap Decorative Vase Sleeves and the quality of the sleeves this is hands down the best new thing to hit the market for your shop to try out today. 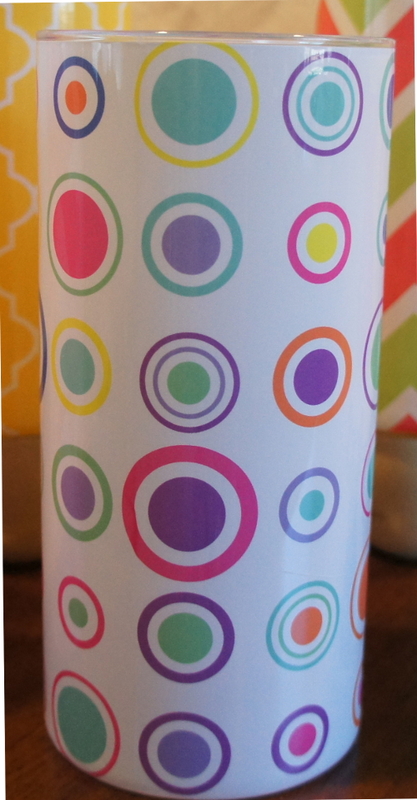 Make sure to enter into the giveaway and contest for a chance to try out the Shrink Wrap Decorative Vase Sleeves today! Get excited as we bring Collections Thursday for those that are waiting for something more reserved and traditional, religious, or even more unique in your Shrink Wrap Decorative Vase Sleeve styles. Today Floral.today is going to be bring you a quick blog sharing with you some insight about Florist Mercantile Company, it’s owners and some of their content so far. Florist Mercantile Company is also hiring, so make sure to check that part of the post out if your looking for something more to do in the industry. Then to finish it all off we are going to be ending with the design contest and giveaway information again so you don’t miss out! As of right now Florist Mercantile Company is releasing their Made in America Shrink Wrap Decorative Vase Sleeve for the 7 1/4″x3 1/4″ cylinder vase. 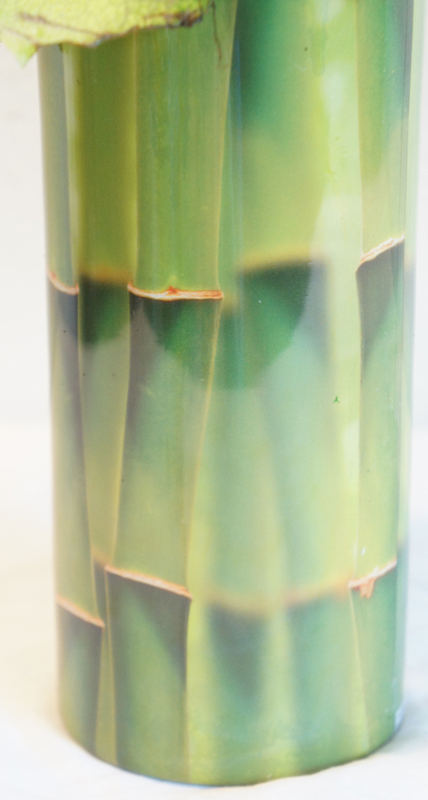 The Shrink Wrap Decorative Vase Sleeve is patented and has patents pending and you can expect a lot more with the development of the 36″, 48″ and 72″ On Decorative Roll Shrink Wrap for multiple sized vases and containers along with a variety of unique candles coming soon. 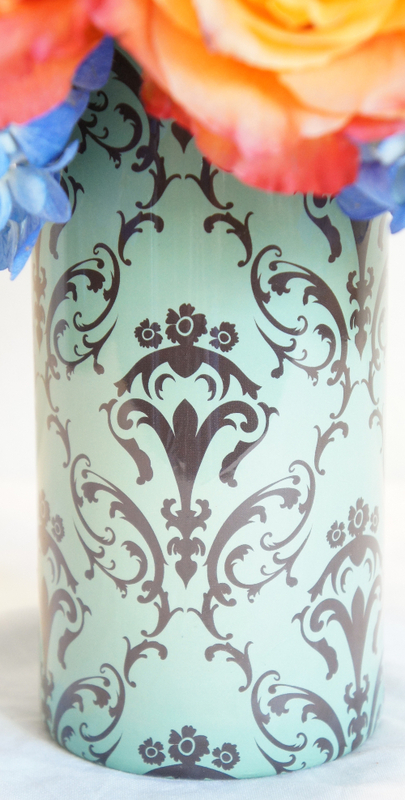 These Shrink Wrap Decorative Vase Sleeve are super easy to apply as you can see below and you can even combined different designs on each other to create your own unique sleeves. 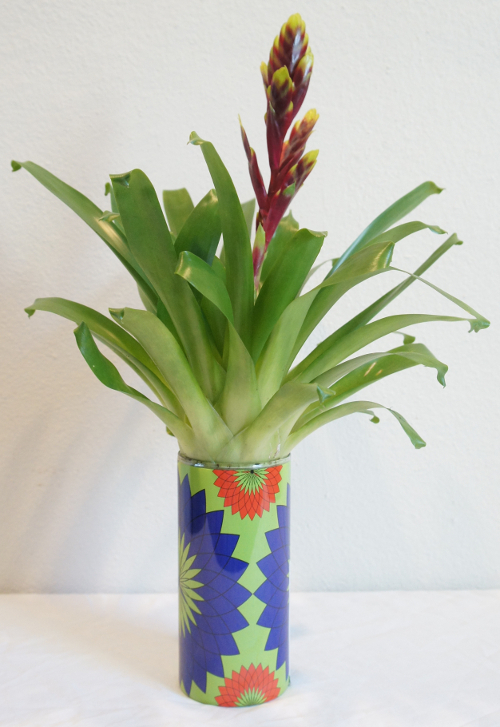 The other great thing about Shrink Wrap Decorative Vase Sleeve is that they have been cooler tested and heat tested so you can trust the product in all coolers and up to 180′ temperatures without the product coming off or having issues at all. 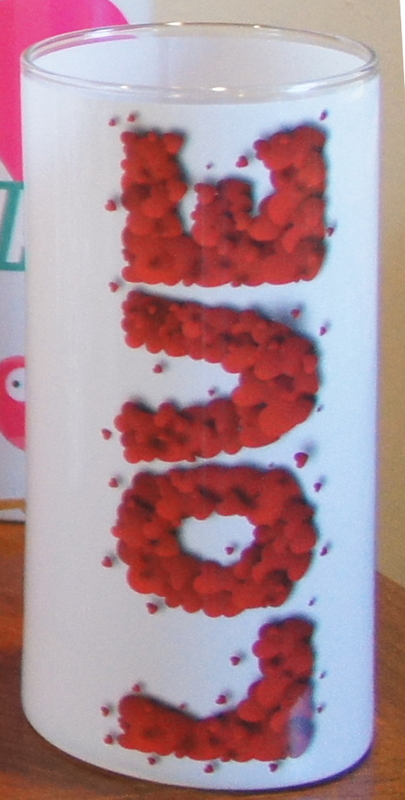 The printing is done along the inside so you won’t have to worry about the sleeve tearing, rubbing off or sticking to other vases and ruining your sleeves. These can be hand-washed and on top of all the other great things about the Shrink Wrap Decorative Vase Sleeves, there are 250 designs to choose from. 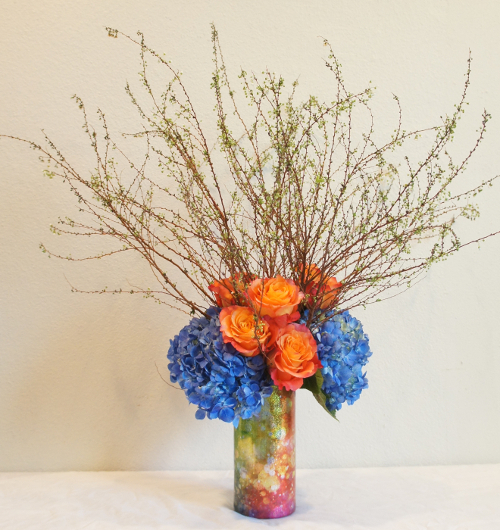 The owners of Florist Mercantile Company and minds behind the Shrink Wrap Decorative Vase Sleeve are Joe Colvin and Daniel Hastings of Houston, TX. 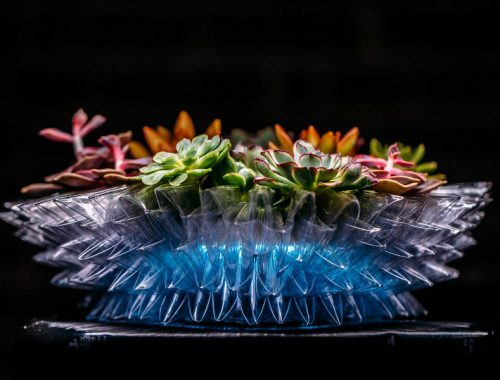 After spending 24+ years developing products for the Floral and Home and Garden Industries, Joe and Daniel were sick of the headaches and started their quest to create their own product. 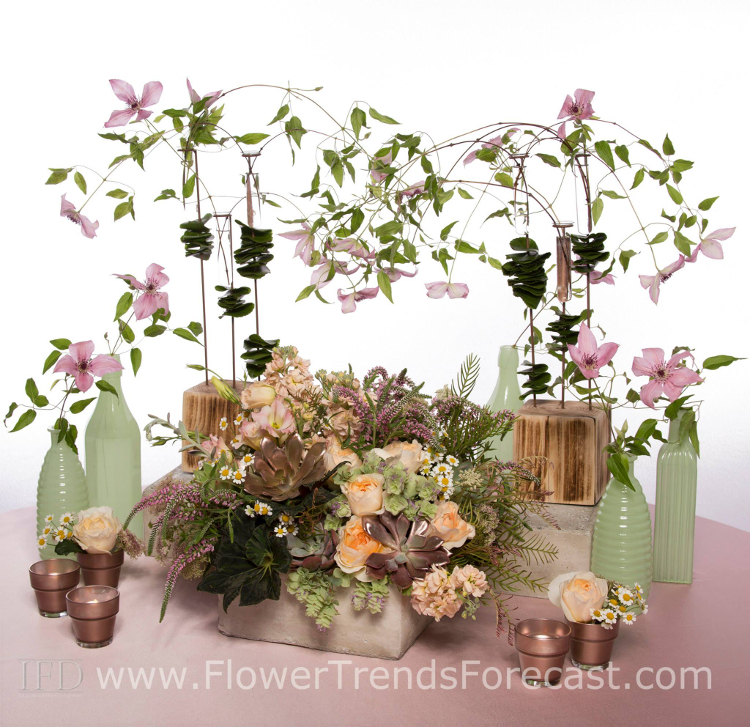 One the quest of creating their own products they focused on some keys aspects to their products and that was as American-Made as possible, something specifically for the floral industry and above all a high quality product to meet the standards of what florist want. With this criteria the Shrink Wrap Decorative Vase Sleeve has been born after many long hours and we bet many different designs. Both Joe and Daniel have put much on the line to bring you a good quality product. 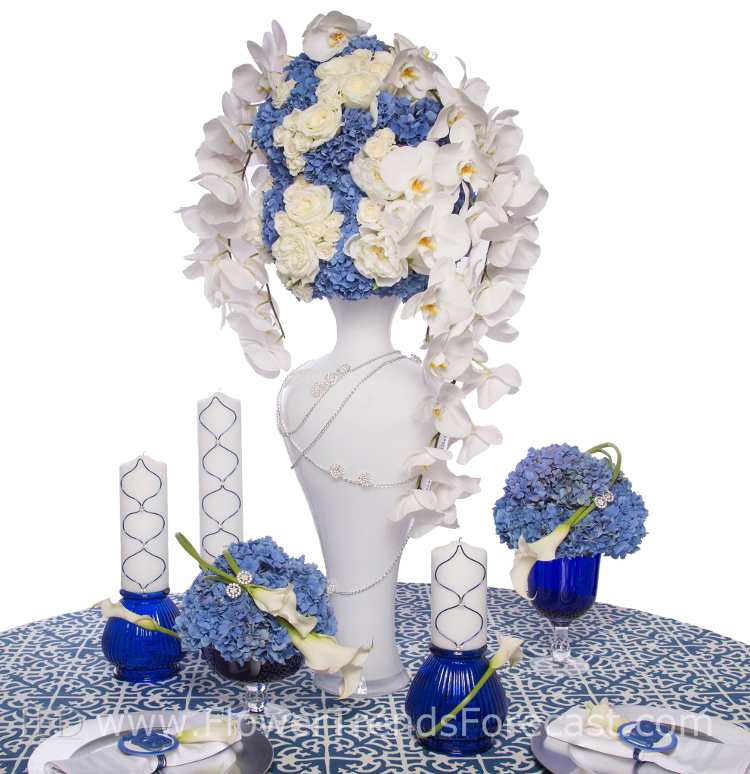 With their personal finances and life tied to this product they have made sure to create you, the floral designer, a product you will want and at a quality and price that you are able to appreciate and sell easily. We have only spoken with Joe multiple time but they go out of their way to make sure their customer service is perfect and you are satisfied. "Could give us a short comment on the company or product"
"Which sleeve was your favorite so far"
"I don't have a favorite, all of the containers are wonderful and have a purpose." 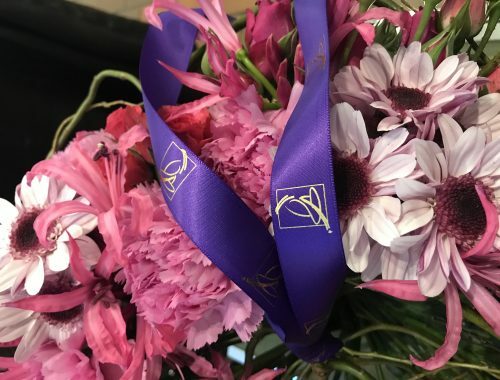 Right now if you visit the Florist to Florist Facebook Group, they are hosting the Florist Mercantile Vase Wrap Design Contest with a prize of $500 dollars and 100 vase wraps. Check out all the details to enter for a chance to win the $500 dollars and those 100 Florist Mercantile Company Vase Wraps. Come show us your skills! Check back here tomorrow when we show you our top Mother’s Day sleeves! 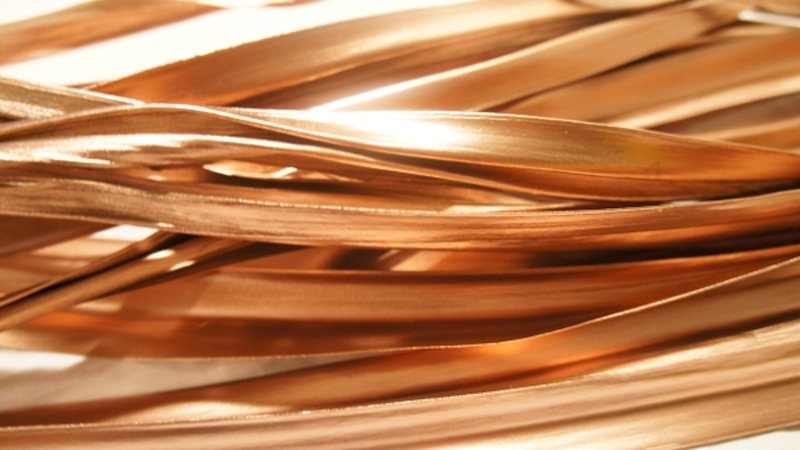 What better way to start off the week than by bringing you a new industry product, right? We have for you the new Shrink Wrap Decorative Vase Sleeves from the Florist Mercantile Company all week long for you to experience and hopeful take for a test drive! Floral.today started off a little apprehensive with the Shrink Wrap Decorative Vase Sleeves when Joe first approached us with them but as this product has been created to entice many different types of personality and taste we and found numerous wraps that we instantly knew we had to have. These Florist Mercantile Company wraps come in 250+ designs, will soon be able to fit most any size vase, and focuses on being American-Made. With the use of the 7 1/4″ x 3 1/4″ American-Made cylinder vase you can showcase about every kind of design you could ever think of and Florist Mercantile Company is still expanding as you read this to have more sizes available, on the roll for any size or shape projects, and even unique candles. 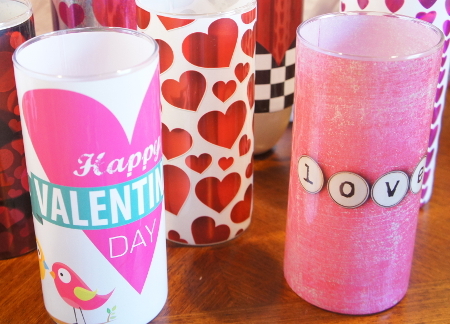 Some of Floral.today’s favorite Valentine’s Day Vase Wraps. 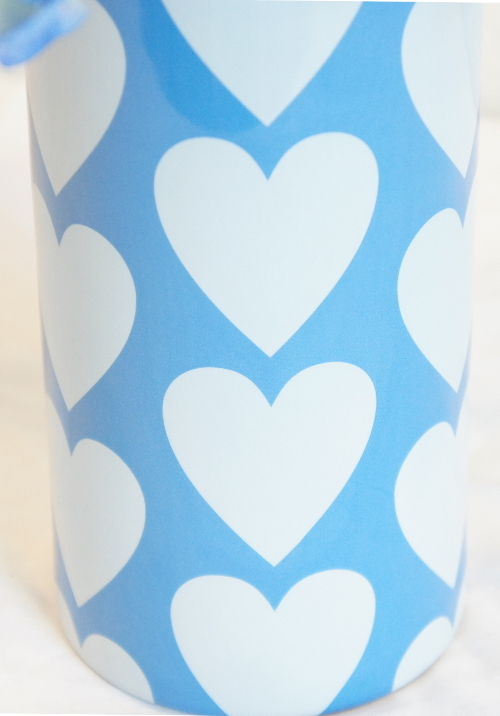 One of Floral.today’s top Valentine’s Day Vase Wrap ‘LOVE’ FMC 3032. The layered hearts give us a fluffy/pillowy feel. One of Floral.today’s top Valentine’s Day Vase Wrap Cluster Hearts FMC 3118. Each heart gives of a nice metallic sheen on a solid white background. Of the whole Valentine’s Day collection we only dismissed two out of them all due to simple things such as font choice or for being to busy and in our opinion taking to much away from the overall arrangement. That said you can find so many out of the collection that our personal two we didn’t prefer shouldn’t affect the over all collection or your personal choices. As of right now the wraps can be purchased in packs but the great thing is you can order them mixed or as a pack of one type. Here is the break down of the pricing. 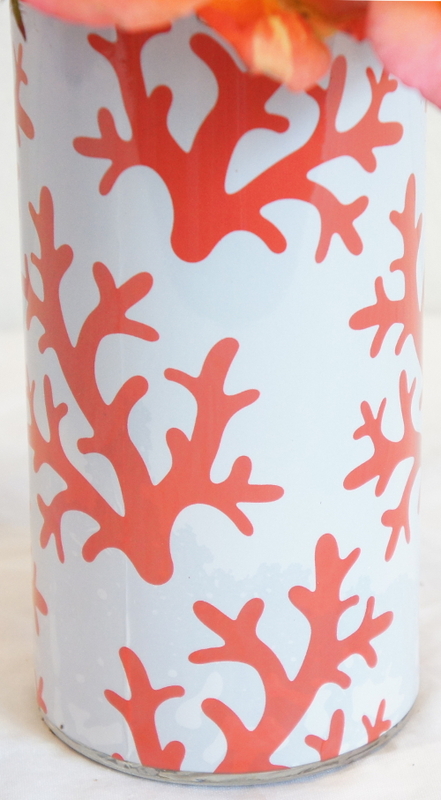 Ask for Local Distributors with the 7 1/4" x 3 1/4" Cylinder Vase. - Can be delivered to your shop or picked up in the closest store. 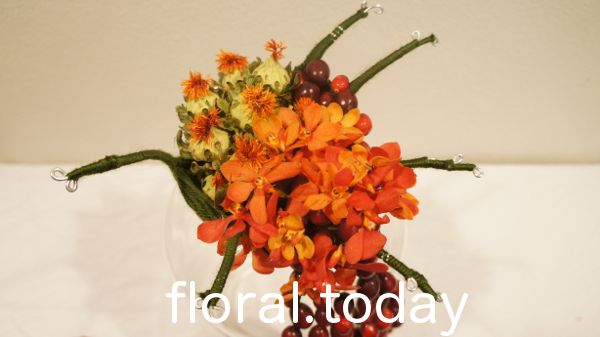 Florist Mercantile Company can help you in the best direction also if you have any issues. 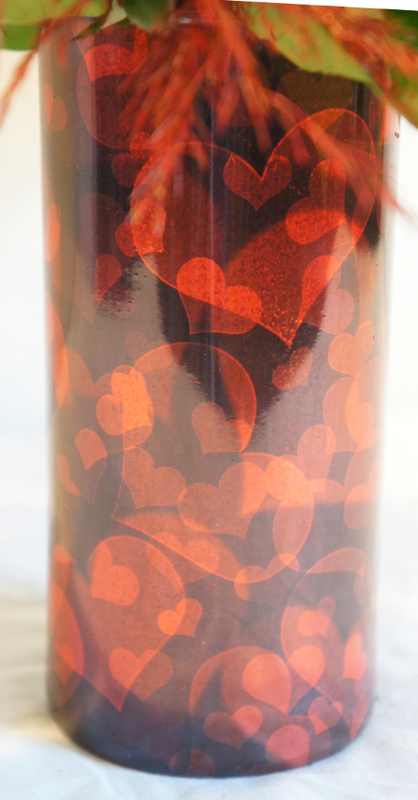 One of Floral.today’s favorite Valentine’s Day wrap RED GLITTER HEARTS FMC 3117. We love the depth of the multiple red color hearts alone and then even more with the sparkle. 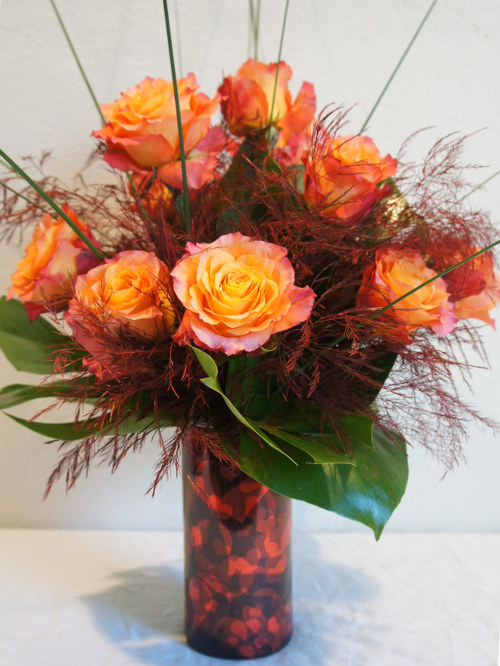 Free Spirit Roses, Red Tree Fern, Steel Grass, Small Monstera Leaves in one of Floral.todays favorite Vase Wraps, RED GLITTER HEARTS FMC 3117. 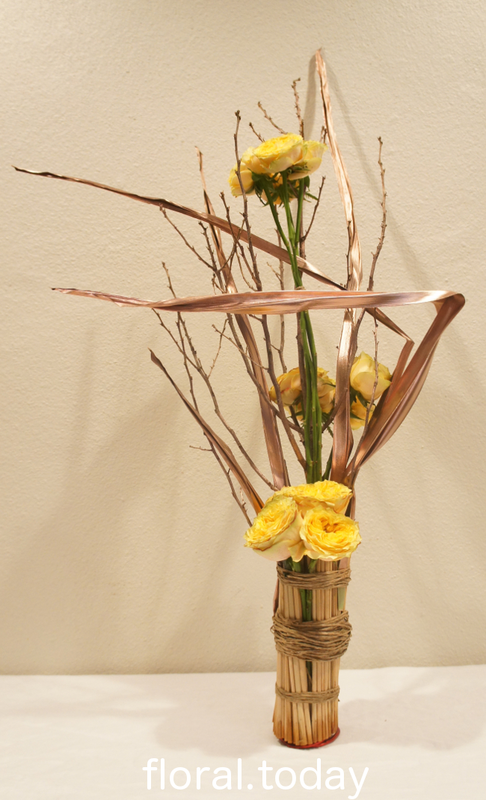 Also make sure you check our youtube video to see Floral.today wrap their own vase and show you how easy this product is to use! 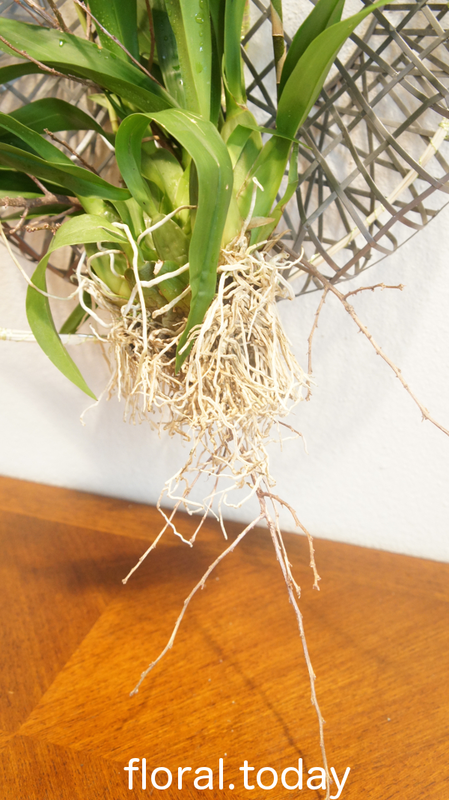 Check back here tomorrow to get to know the Florist Mercantile Company and it’s owner a bit better and see some of the Shrink Wrap Decorative Vase Sleeves collections and sets that they offer. 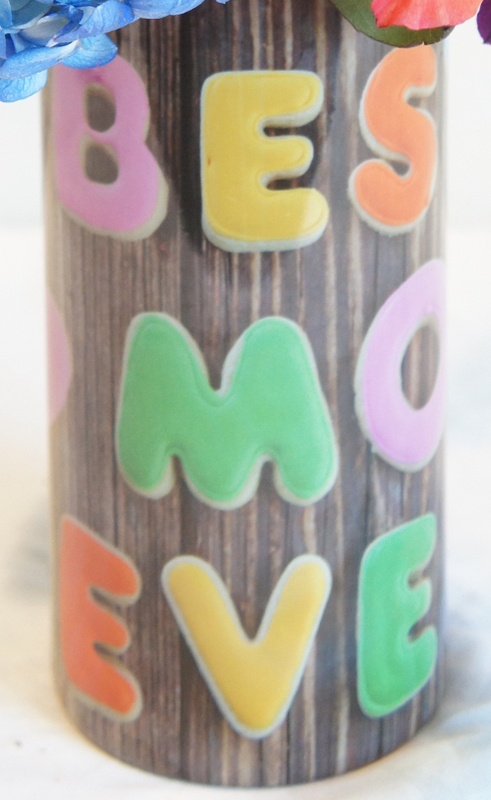 We will also have Mother’s Day Vase Wraps on Wednesday and our Must Have at All Time! 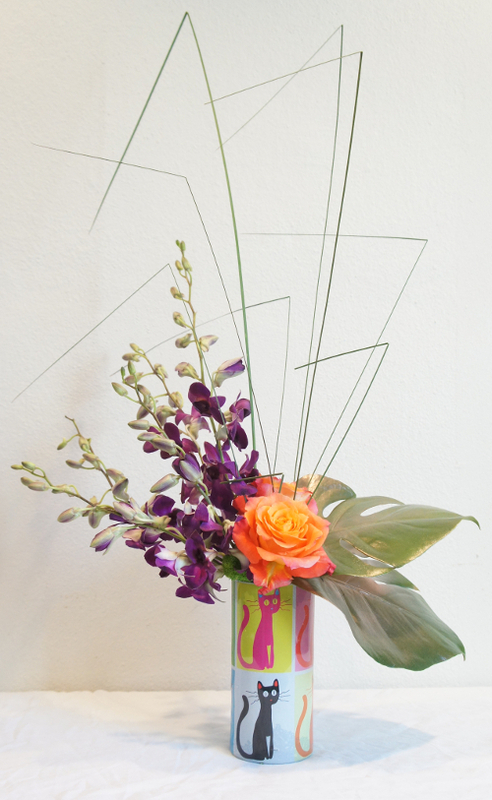 Shrink Wrap Decorative Vase Sleeves for #FloralFriday. So share with us and Florist Mercantile Company what you think of these wraps and remember to tell us when you try these great wraps out. What fun we have had trying out some new products and techniques in November. 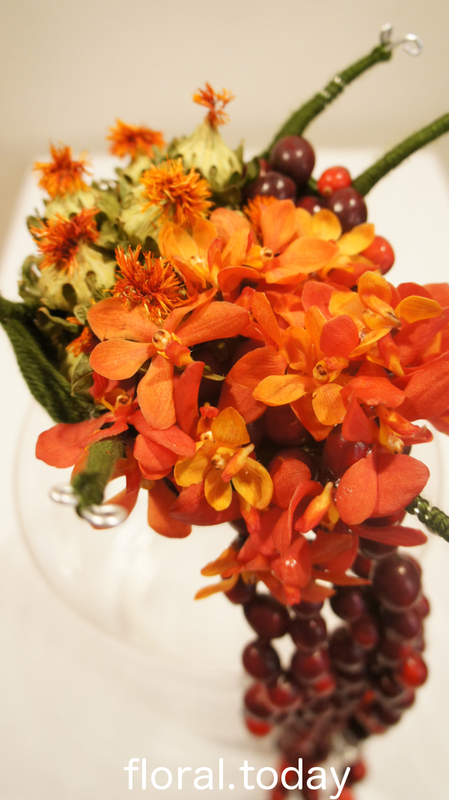 We hope you enjoy this #FloralFriday’s post and always make sure to share with us what you’re up to! Lets dive right into what we tried and loved, and how it all worked out for us. First up we have our hand bouquet to be held cupped in the hand with a ring for extra comfort and security. With the Emerald Lion Brand Yarn and the Silver 12 Gauge OASIS Aluminum Wire are so white that the bouquet stays strong but very light so even after the addition of the flowers the bouquet stays moderately light. We then have the cranberries threaded on black basic carpeting thread that is thin but very strong so the threads hang and twist without distorting the shape like some wires can do. The threading was finished off with Silver OASIS Beaded Wire and a simple hourglass for interest and to finish off the ends. 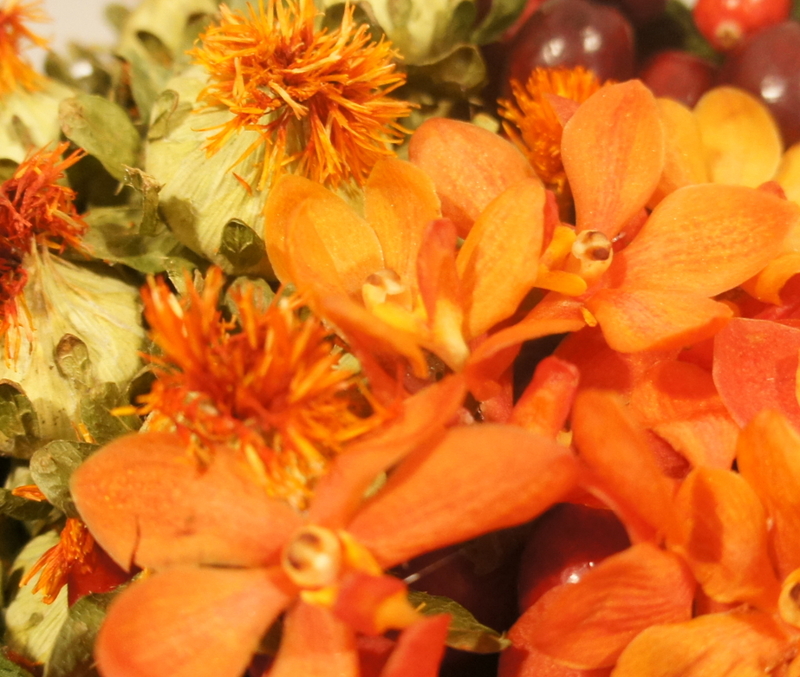 Then to round the bouquet off we add in some dried Carthamus Safflower and a few McKenny Orange Mokara Orchids for color and interest. Combining the different shades of red and red orange along with dry and fresh creates an interesting visual and physical texture. 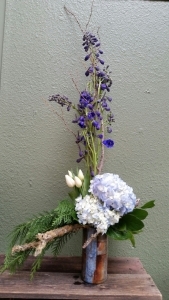 What would you change or do to make the bouquet your own? This is followed up by our free form linear design used with our dried out and used products. The use of the Rose Gold 241 Design Master paint on the dried flax and ilex branches made for a great combination of fall color and interest. 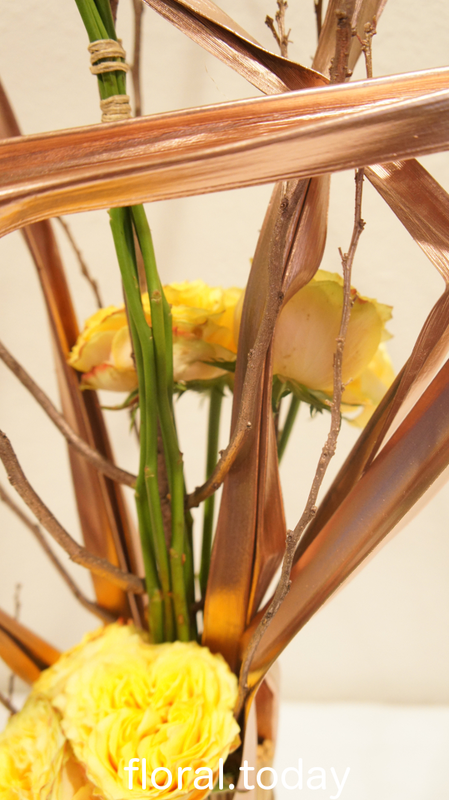 The groupings of the Eufloria Flowers “Fiesta Sunset” Garden Roses is giving little bursts of color and color blocking up through the design while the Rose Gold Flax gives you abstract lines and depth through the branches. 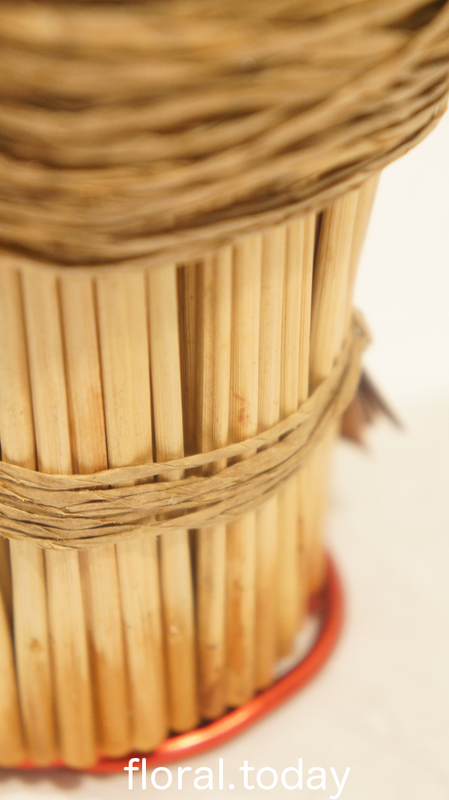 The whole design is securely designed into a Cattail Stem Grouping bound with Natural OASIS Bind Wire to create a unique textural base that uses a product that was collecting dust. 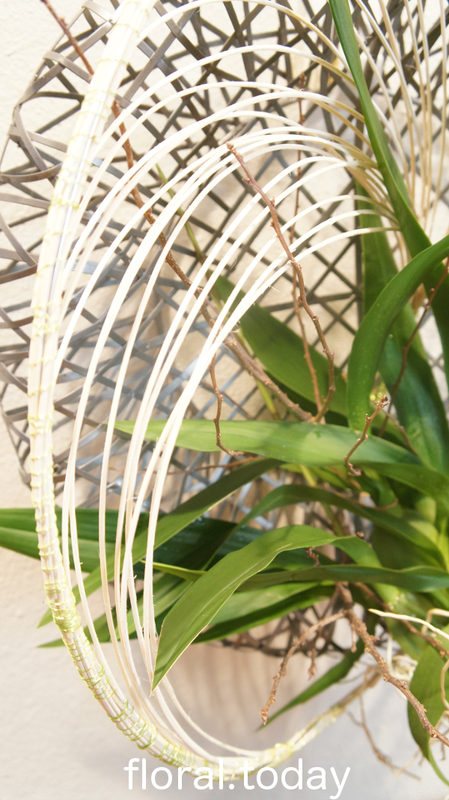 The whole design is supported by the Cattail Stem Groupings and a OASIS MEGA Wire spiral under the base. What would you do to change the look or style? 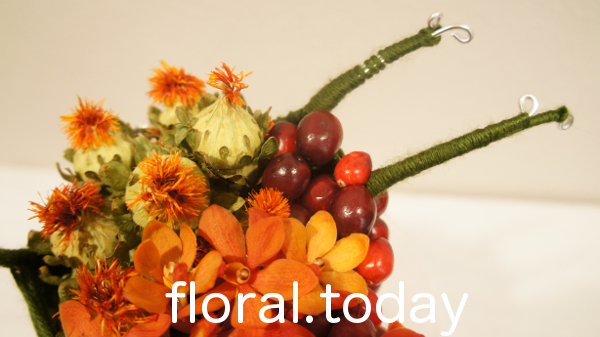 What are you doing in the month of November to challenge yourself or adventure the floral industry? We had tons of fun getting to explore some fun design techniques and products in November. Share with us what your doing this month so we can follow along with what you, our readers, are doing. It’s all about the trying and loving in November as we try out new product combinations and inspirations that we are finding all around the industry. Here are some of the fun things we are trying out to help elevate our designs and help us stay on top of our creative game. Make sure to always keep floral.today up as we love to be inspired! First up we are playing with yarn and wire to create interesting visual texture and patterns. The first time had seen someone Knit/Crochet along with floral design was at the American Institute of Floral Design 2013 Symposium Show, “HAND|craft – Design to Distinguish Yourself” presented by Jim Dempsey AIFD, CFD, when the whole show was produced in all hand crafted ways to show the increased visual value and professional skill. 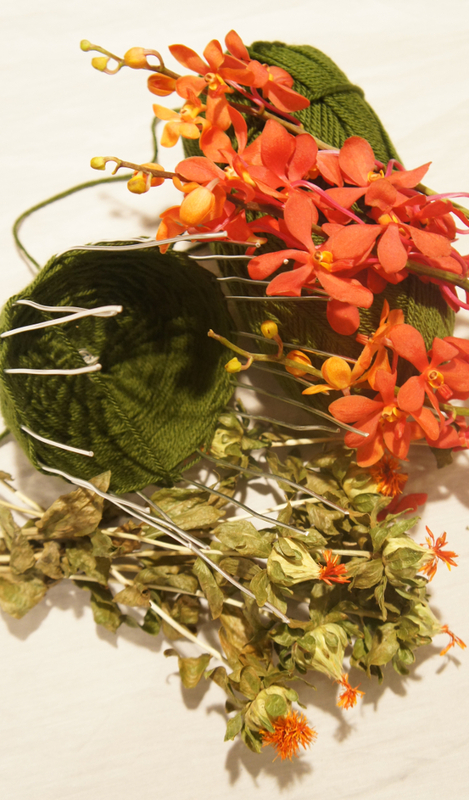 We love to knit here at floral.today so why not take something we like to relax to and enhance our designs with it! 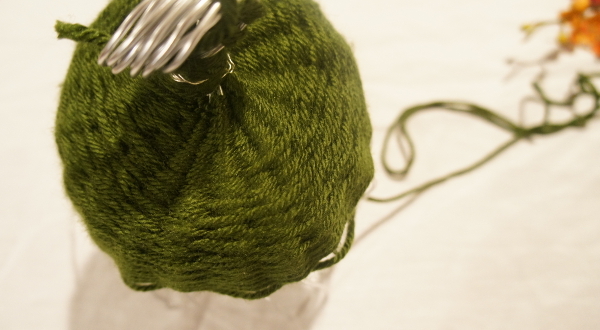 You can see the beginning of our hand bouquet with emerald Lion Brand Yarn and Silver Smithers Oasis 12 gage Aluminum Wire. 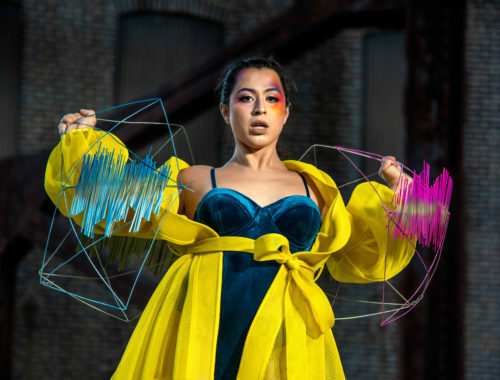 The wire ring form was the start and then we moved to going back and forth with the yarn to create and interesting pattern and visual texture. 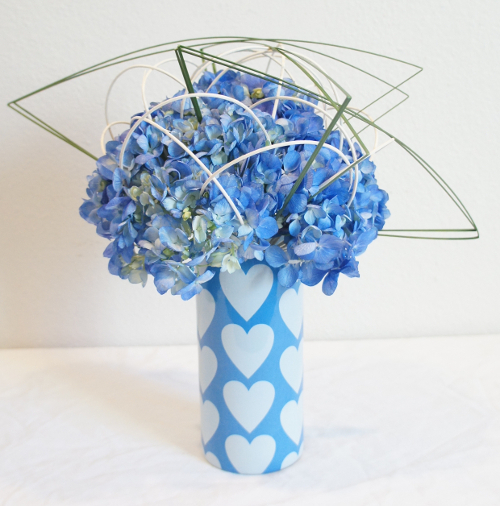 The yarn makes the bouquet super easy to glue into and the wire can be formed into any shape to create many different types of styles and forms. 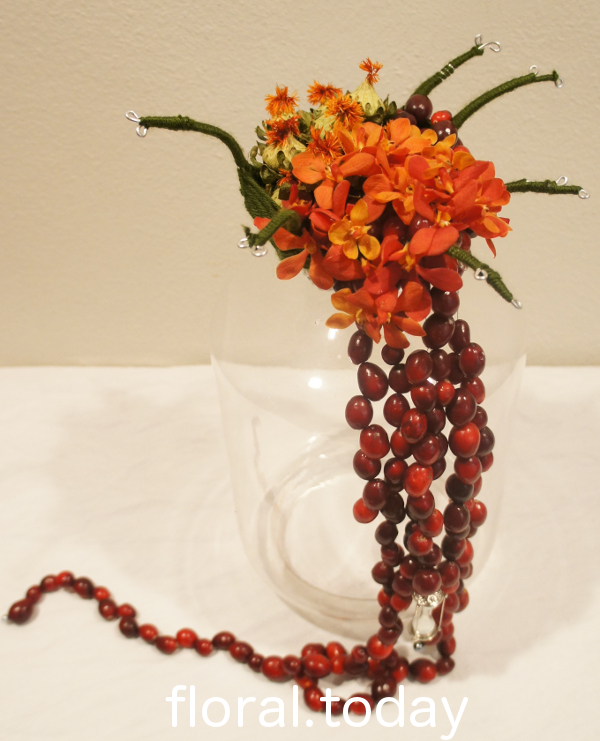 We will have the finished design in our #FloralFriday post for you to enjoy. 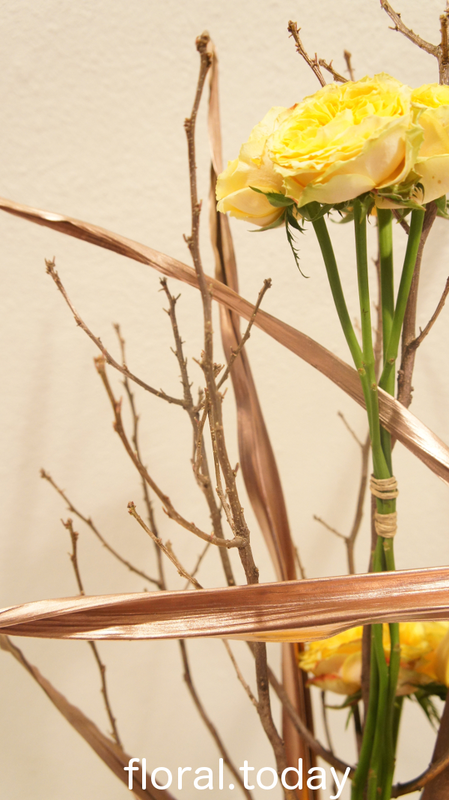 We are also having some fun with dried flax, cattails and branches for November. To be honest we had bought to many flax and it dried out but as we payed for it why throw it out. 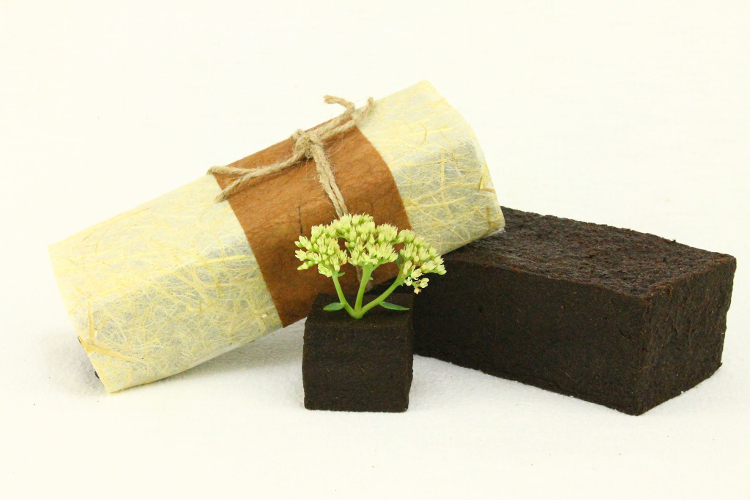 In the floral industry there is a great amount of waste, were not saying save all your trash but if it dries well or could be utilized in a good way in the future why not make some money from it. 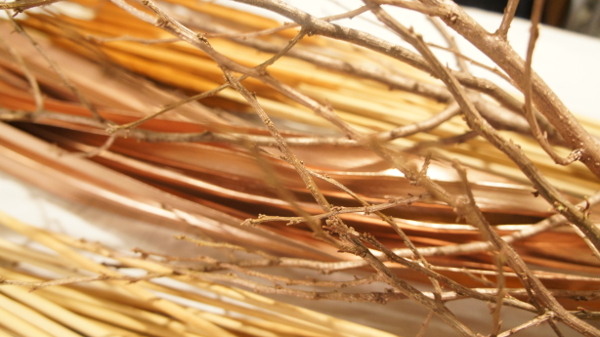 We have dusted our branches with Design Master Rose Gold 241 paint and have done a full cover on our flax with the Design Master Rose Gold 241 paint. 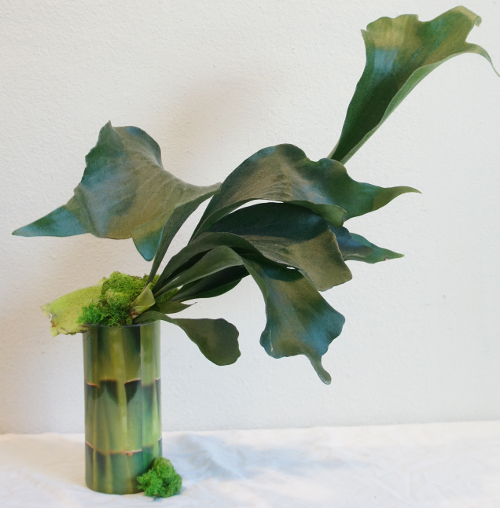 We are loving the pillar shapes we have been seeing all over the place, so we will be showing you the completed design on #FloralFriday as we try out creating a pillar design with our lost or forgotten product. Finally we are trying out our Midollino Spiral from last weeks video to enhance a plant to be gifted. 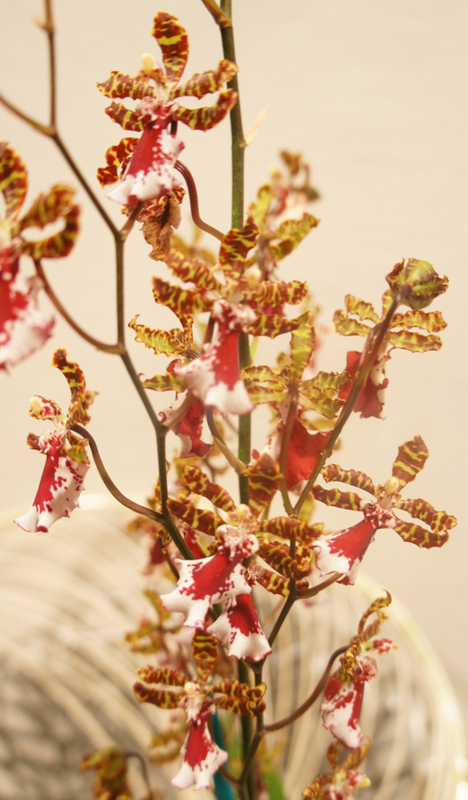 As a great way to add visual value and to enhance the plant to make it unique and one of a kind, it’s the perfect gift to come from floral.today. You can check out the video of the adventure that is Garrett trying to make the Midollino Spiral and then see the finished product of #FloralFriday! Make sure to always share with us on social media or here what fun products or floral adventures you’re up to.